Remember back in elementary school when glasses were for nerds? Well my friends, the times have changed and now nerdy chic is the new chic! As soon as I was old enough for contacts I jumped for joy and immediately took the opportunity to leave my four-eyes days behind. 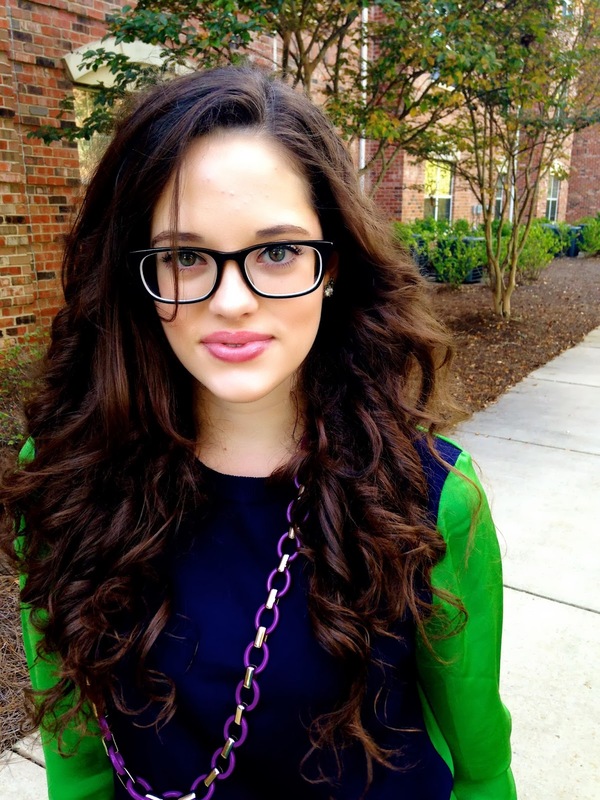 But glasses have come so far since then, and recently they've become the essential accessory for a quirky and flirty look. I am absolutely in love with my new glasses courtesy of Firmoo - they made me realize for myself that glasses can be worn in style...and should be. 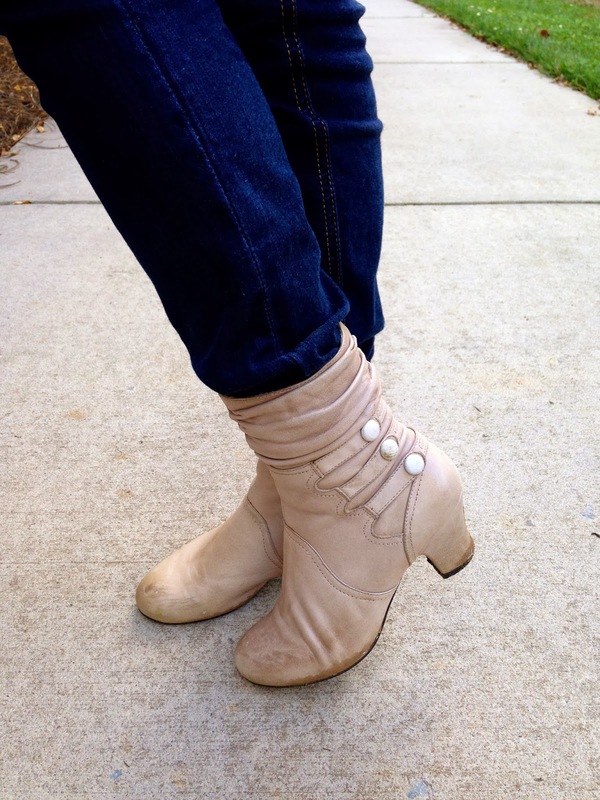 The above pair is what you see me wearing in my pictures (#CP6061). 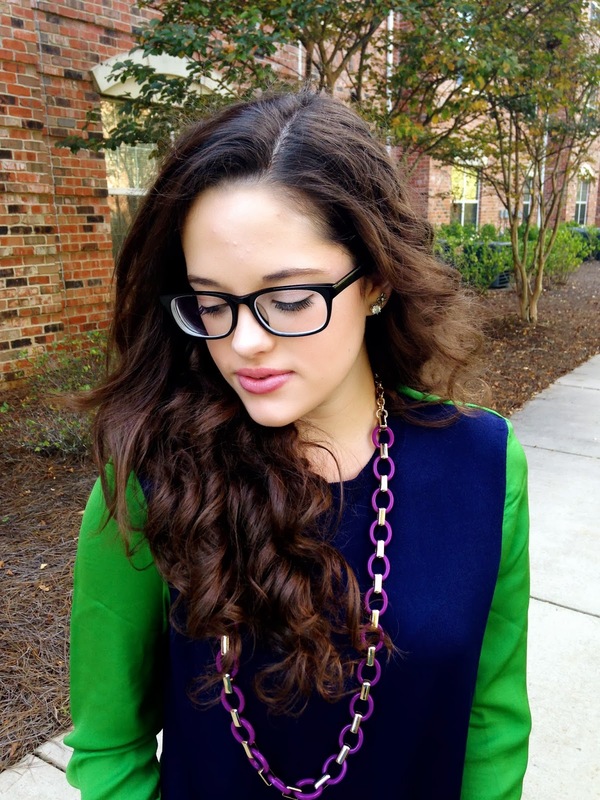 I love the versatility of these glasses and how they truly make a statement. 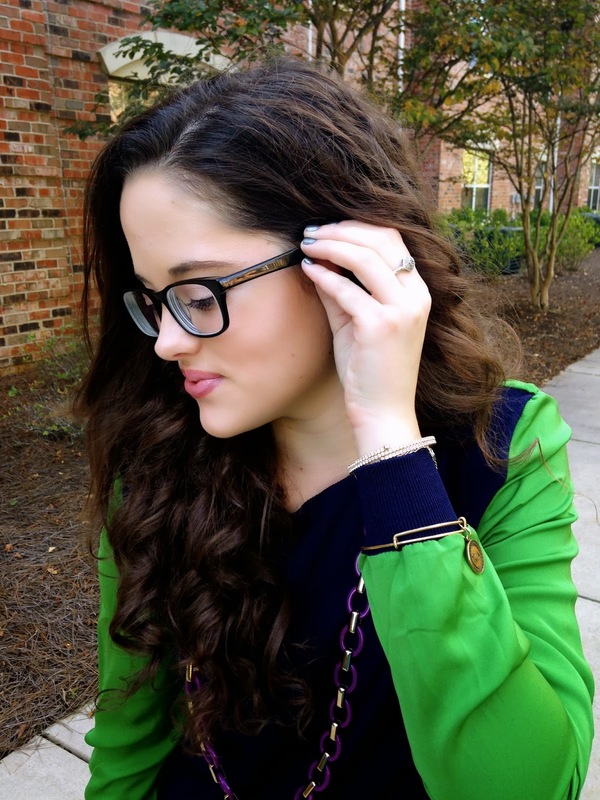 The bold thick frames speak volumes about the confidence of the wearer. 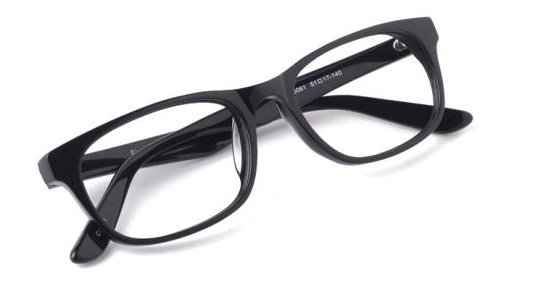 These are other pairs of Firmoo glasses that I find fashionable and stylish. Nothing's wrong with having a pair of glasses to match every mood! 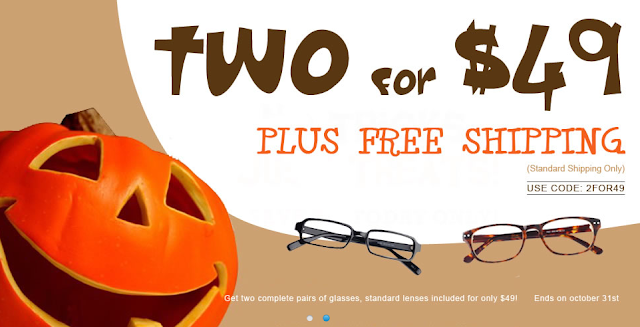 Stop by Firmoo.com and pick up a free pair of glasses so that you won't miss out on the perfect opportunity to reach your full fashion potential. New arrivals are part of the First-Pair-Free-Program. Now get your first pair for free by clicking here! Ordering glasses online sounds scary and even risky, but I promise, Firmoo makes the process so easy and I am completely satisfied with my new pair of prescription glasses. 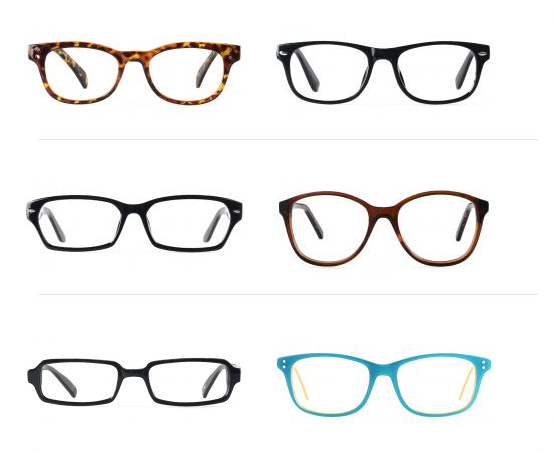 Their site features many pictures of people wearing their glasses as well as measurements so you can get a good idea of what frames will fit your face. 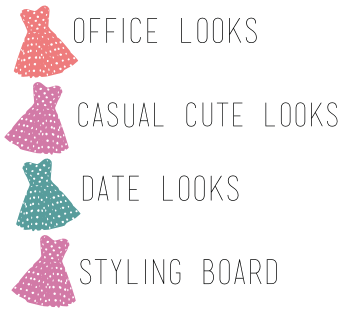 Firmoo also has a Virtual Try-On System, which 98% of Firmoo customers have used to find their perfect glasses match. Firmoo.com is the world's most popular online eyeglasses store. Years of expertise in optical industry has enabled Firmoo.com to offer varieties of prescription eyewear to the consuming public in high quality yet at extremely affordable prices. Glasses officially no longer have a bad rep in the fashion world. So what are you waiting for? Embrace your inner nerd today! The glasses fits your face shape a lot! And I really like your sweater. The green is beautiful. Wow..you look really chic in this look. Great blog dear. I have connected through GFC. 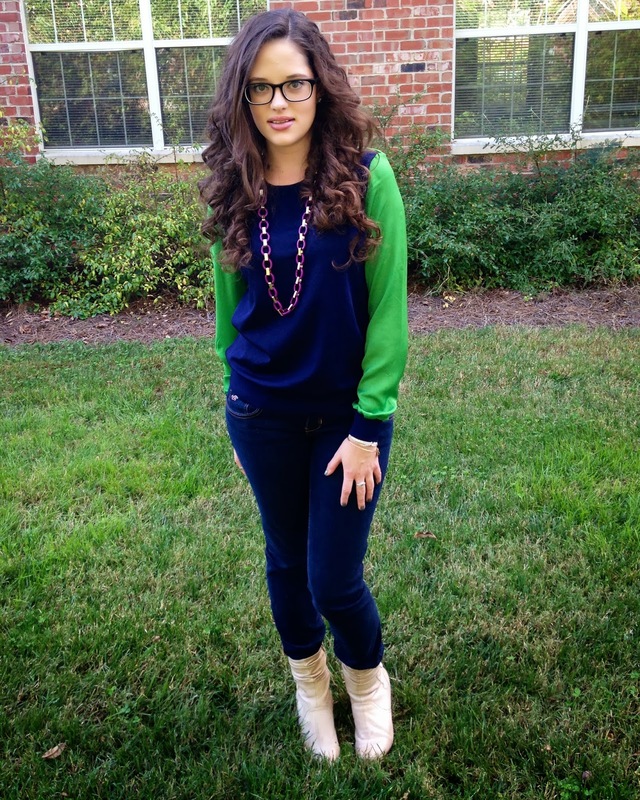 Hey Kat, you are seriously adorable with this glasses and the outfit. I love blue/green together. I love these glasses! Great colors on your shirt too! I love your sweater and your glasses... You look adorable!!!! You look so nice, adore your hair! Amazing shirt. You look stunning. Would you like to follow each other on GFC? Let me know. here I am on GFC #435. Thx sweetie. Gotta run. let's keep in touch. They look great on you! Firmoo has some really nice styles. Love the glasses! You are right, glasses have become so much more fashionable than they used to be which I love because I find them easier than contacts! Anyway simple and chic look!! Pretty look, you have such a pretty face! You have such beautiful facial features. 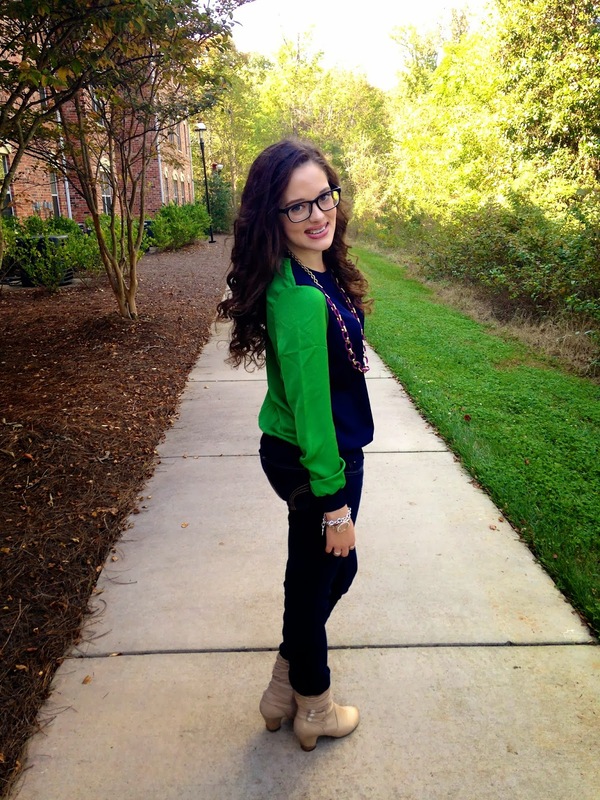 Very cute outfit, your specs channel the geek chic - very pretty! And the glasses added a lot of pizzazz to your total look. looking fabulous my dear! that chain was a nice pop! 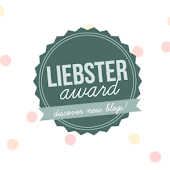 Hey doll i am back and this time to let you know that I just nominated you to Addictive Blog award because your blog is just addicting. Hope you don't mind. That sweater is just amazing! You look great with it! I love love love that sweater! The two tone colors are perfect. You look great! You look SO adorable. I love the sweater and the glasses! You look so cute with glasses! 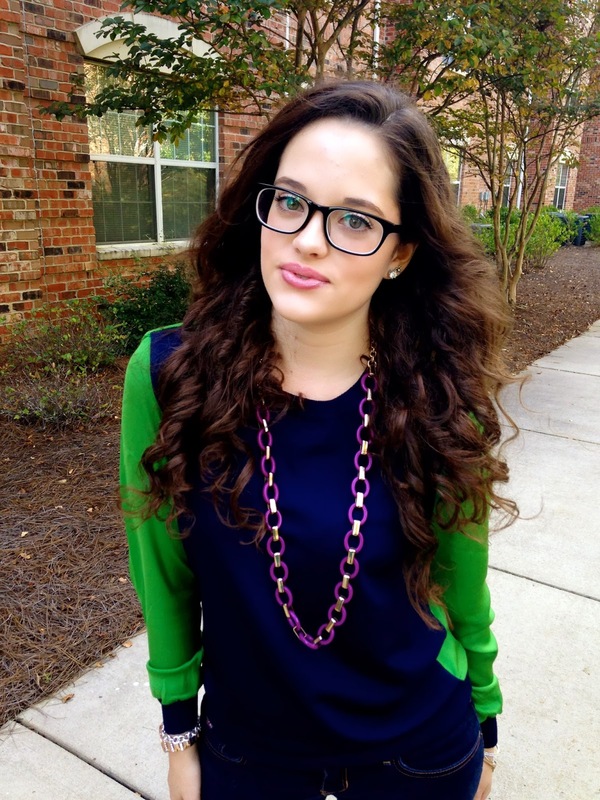 You are so right, Geek Chic is so in style! I adore your outfit too! 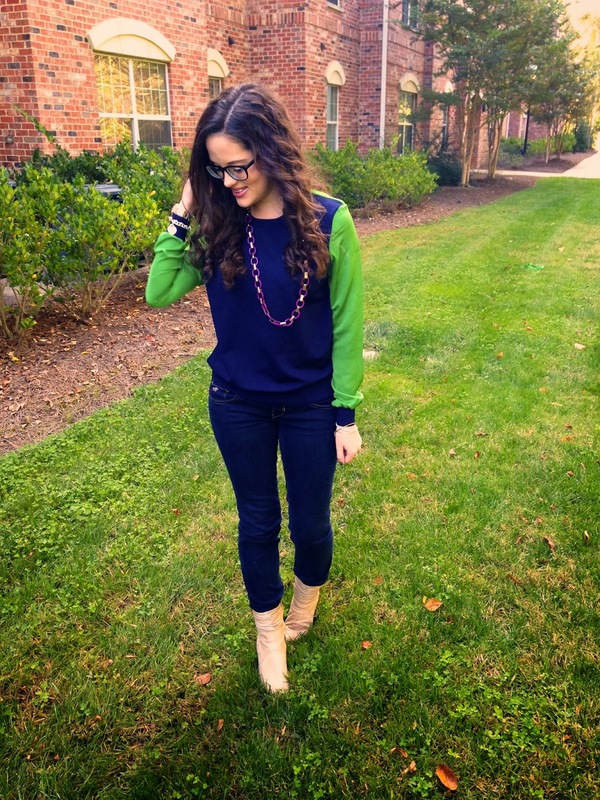 The blue and green combo is just gorgeous and I love the unexpected color with that awesome necklace! you look lovely as always! and i'm in love with your top! Hope u will follow me to..
Love the outfit!! that sweater is adorable, love the colors! I love your hair! Lovely outfit :)! I wish I would have gotten that top! You look great in glasses! 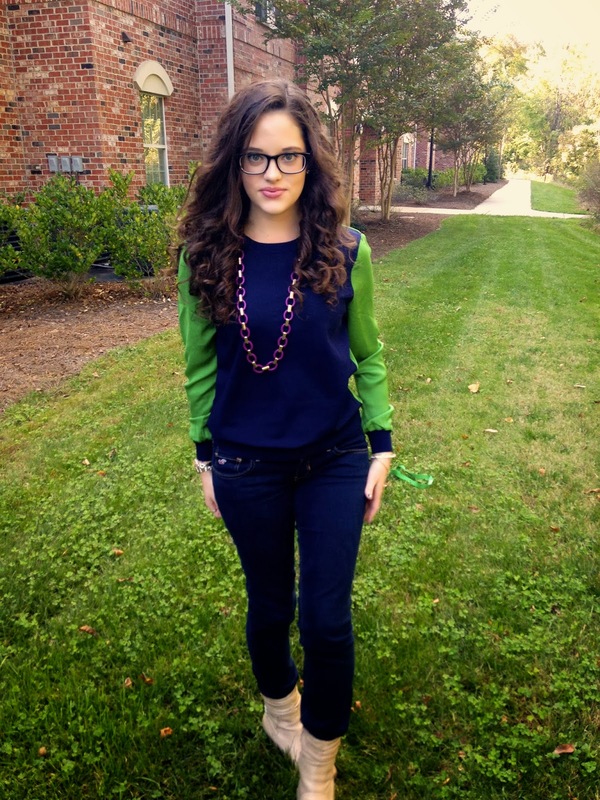 Extremely lovable outfit, looking really attractive, simply loving your sweaters and glasses are also looking cool. How cute and chic you look! And you look like you were having so much fun!